Murkage Dave and Patrick Scally, otherwise known as HALFBROTHER, have unveiled the dreamy and mesmeric visual for their new track ‘Love Letter’. 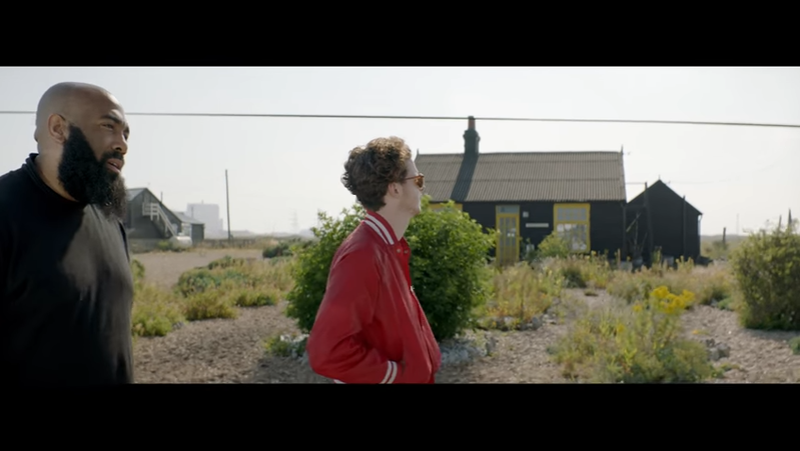 Directed by the award-winning designer and art director Kate Moross (Dazed & Confused, Vogue, NYLON) the video was shot in Dungeness, on the English Coast and follows last month’s release of the single. Written and produced by the duo and previously premiered on The Independent with further support from the likes of The Line of Best Fit, Notion and 1Xtra. The track is the follow-up to their debut single ‘Go Tell The Mandem’, which i-D described as ‘quietly profound’ and ‘remarkably lucid’, and its Jeremy Cole and Marco Grey directed visuals and February’s ‘Sweet Talk’. Earlier this month, the duo brought their first performance as a duo to The Old Blue Last as the main opening act for Star Slinger whilst this year they are set to release their debut album ‘Men Can’t Protect You Anymore’ which will feature their unique take on alternative R&B influenced sounds and exciting collaborations with UK Hip-Hop artist Oscar #worldpeace.